CarryM is an unified messaging solution, effectively enabling to reach its potential users. The goal is to achieve customer success by providing optimal solutions for effective marketing and successful performance. By providing a mobile exclusive writing tool similar to that of a mobile phone, CarryM enhances user convenience, thus making it easy to use. CarryM offers various templates. It is also possible to set sharing options for individual/ department/ whole. 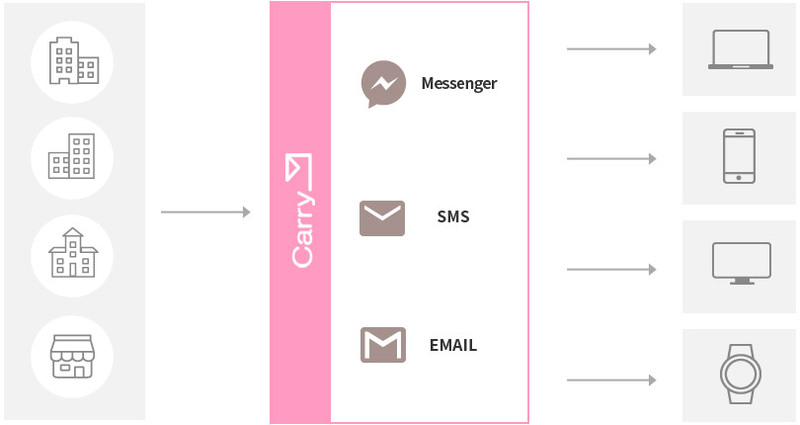 CarryM provides free message notification service that sends real time information to its smartphone users. 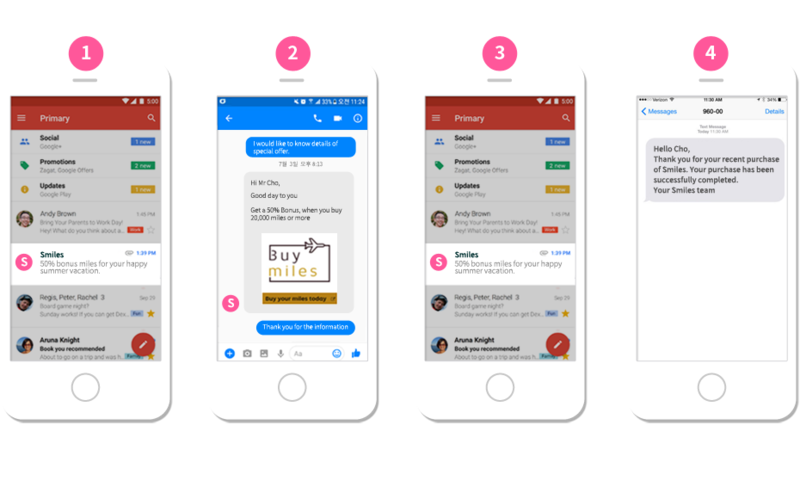 Its message notification service is optimized for various mobile, offering functions of convenient writing and device checking. Expansion of customer contact points. → Providing diverse information → Strengthening mobile marketing. Providing real time statistics on app push shipment → Analysis of customary response → Strengthening customer relationship management. Unlike regular Email, PDF secure Email is the only service which can be read in all browsers. Mobile devices allow customers to receive email in real time regardless of location. 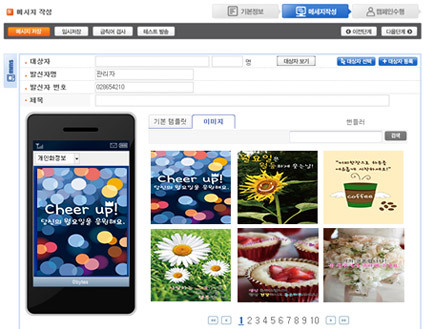 Thus, the open rate of Email is high and its customer service is strengthened. This is a configuration, optimized for security purpose. Sending and receiving servers are separated due to customer information protection. The sending server is located inside for security purposes. 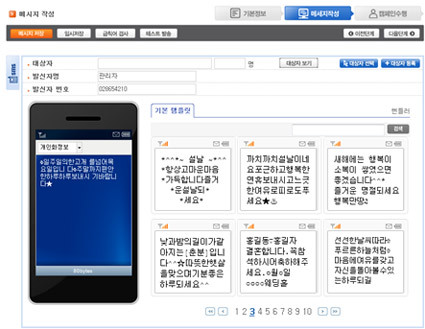 The receiving server is located DMZ zone and blocks external access. EMS WEB UIS is placed in the internal network to improve customer information security. EMS WEB connects to EMS DB and shows the sending/receiving result. Thus, it is recommended to be placed in the intranet.